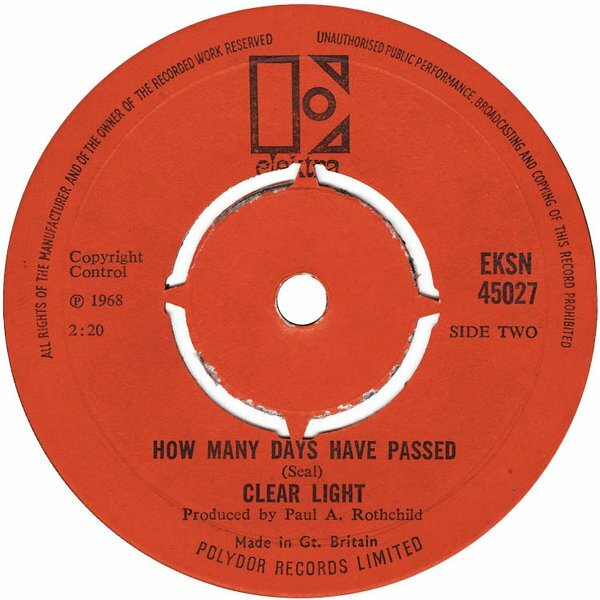 This day-by-day diary of Clear Light's live, studio, broadcasting and private activities is the result of three decades of research and interview work by Bruno Ceriotti, Gray Newell, and Nick Warburton, but without the significant contributions of other kindred spirits this diary would not have been possibile. So, we would like to thank all the people who, in one form or another, contributed to this timeline: Ross Hannan, Corry Arnold, Marc Skobac, Ralph Schuckett, Doug Lubahn, Alan Brackett, John Einarson, Paul D. Grushkin, Brian Hogg, Terry Hounsome, David Peter Housden, Vernon Joynson, Pete Long, Greg Shaw, Domenic Priore, Jerry Fuentes, Stu Rosenberg, Michael Fennelly, Chaim O'Brien-Blumenthal, Deena Canale, Richard Morton Jack, Steven M. Finger, Los Angeles Free Press, Colin Mason, Jeff Salisbury, Dennis Donley, Jim Salzer, Luis Futre, Michael Lazarus Scott, The Daily Californian, The Daily Pennsylvanian, Berkeley Barb, and John H. Warburg. Georgia-born singer and lead guitarist Robert Parker 'Bob' Seal (d. Wednesday, January 9, 2019, California, after a 2 year coma as a result of hitting his head after he had some strokes before) teams up with drummer Dallas Woodrow Taylor Jr. (b. Wednesday, April 7, 1948, Denver, Colorado - d. Sunday, January 18, 2015, at 2:30am, Los Angeles, California, supposedly for a heart seizure/attack) when they meet in Phoenix, Arizona, as Seal is heading to Los Angeles, California. Taylor has already tasted the Sunset Strip scene while drumming with Lowell George’s The Factory for just one infamous gig at the Shrine Exposition Hall, sometime earlier on Saturday, September 17. 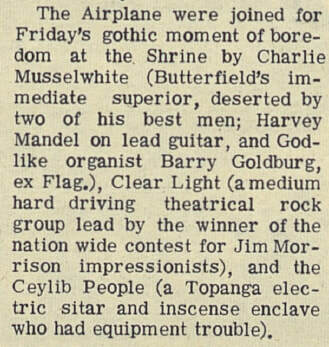 They arrived in Los Angeles and set up camp in Manhattan Beach where they meet up with drummer Michael Stephen Ney (b. Wednesday, May 29, 1946, Los Angeles) and rhythm guitarist Clyde Edgar 'Robbie' Robison at a gig of the Peanut Butter Conspiracy, a local rock band whose lead singer was Robison's wife Sandra, aka 'Sandi Peanut Butter'. Robison formerly led his own Robbie Robison Trio, and before that he also performed as a folk singing lycanthrope under the name of Robbie The Werewolf (he released a private press live album in 1964, 'At The Waleback', which was recorded at a bar/inn in Santa Monica during a one night performance in the early 1960s; the album was re-issued on both LP and CD formats by Gear Fab Records in 2016). 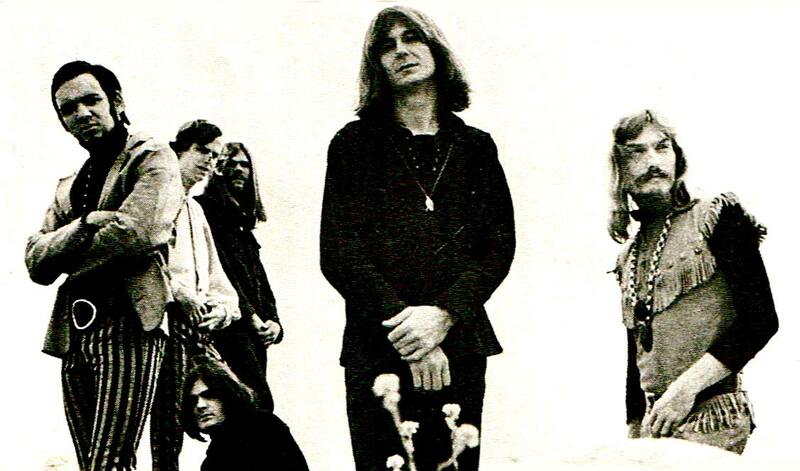 Deciding to make a go of forming a group with two drummers they recruit Wanda Watkins (Michael Ney's girlfriend) as an additional vocalist and name themselves The Garnerfield Sanitarium. Douglas H. 'Doug' Lubahn (b. Friday, December 20, 1946, Golden, Colorado) - who had spotted Seal and Taylor outside the Canter's Deli at 417-19 North Fairfax Avenue, with a note pinned to their shirts saying "we need a bass player" - joins on bass. Lubahn - later mostly known as "The 5th Doors" because he played as sessionman in The Doors' 2nd, 3rd, and 4th studio albums, 'Strange Days' (1967), 'Waiting For The Sun' (1968), and 'The Soft Parade' (1969) - had moved to Los Angeles a few months earlier from Aspen, Colorado, where he was working as a ski instructor and playing with several local groups (he had spent six years studying French horn and switched to bass guitar when he was 14, after the most popular band at his high school, The Carpetbaggers, asked him to join), including The Candy Store, a band tha came to Aspen from L.A. in January 1966 and that had in their entourage none other than the great late 'Mama Cass' Elliot of The Mamas and The Papas (it was 'Mama Cass' that encouraged him to relocate to the West Coast). They acquire a former local boxer and hipster called Bud Mathis as manager, and change name to The Brain Train - a name given to them by the Peanut Butter Conspiracy’s bassist Alan Brackett and maybe inspired by a big fat joint. In the process they lose Wanda Watkins, who will turn up in another Bud Mathis outfit, The Joint Effort. 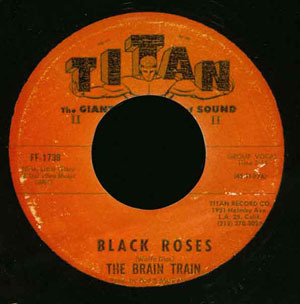 Bud Mathis finances a recording session for The Brain Train at the Electro-Vox, and takes the resulting demo recordings of their arrangement of Wolfgang Dios' 'Black Roses', and Lubahn and Mathis' 'Me', to Elektra Records (through the label's talent scout Billy James). 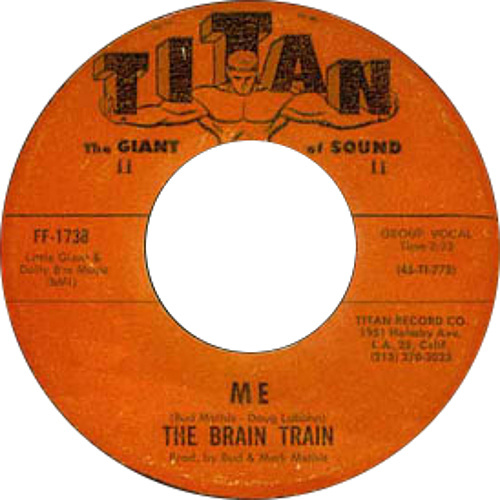 The Brain Train signed a one year recording contract with Elektra Records. 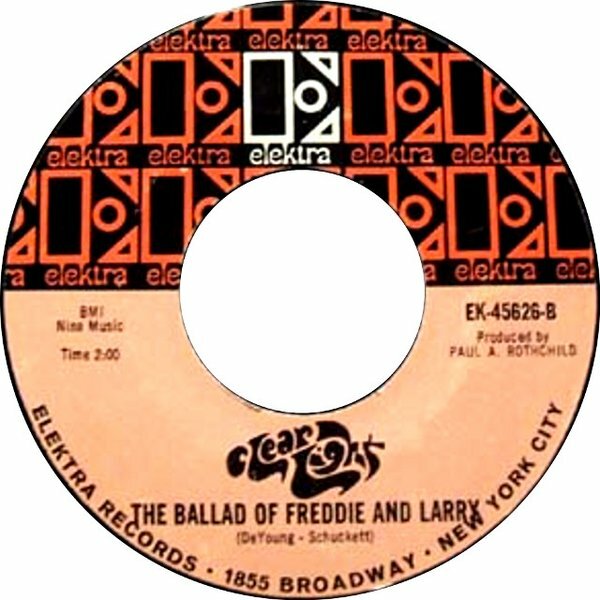 The label subsequently persuades them to ditch Bud Mathis and be taken under the wing of their in-house producer Paul A. Rothchild. One of the provisos the band insisted upon on being signed to Elektra was that they be moved from the cramped apartment they were all sharing. Elektra leased a large rambling old un-down mansion on 5215 Franklin Avenue in the Los Feliz area of Los Angeles, up near the Griffith Park Observatory, which had previously been home of the late comedian, actor, juggler, and writer W.C. Fields, and which from then on became known as the 'Light House'. Once ensconced in their new pad, The Brain Train began working on arranging and rehearsing material for their proposed album. The Brain Train change name to Clear Light. 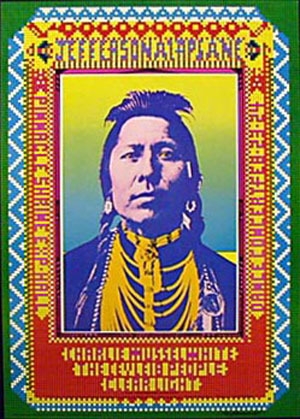 It was Paul A. Rothchild that came up with the new name after he spent some time zonked out high on a hilltop with Jim Morrison who turned to him and challenged him to a race into the "clear light" (wrong sources say the name was either the choice of Bob Seal and taken from a Tibetan Buddhist transcendental state described in the Tibetan Book Of The Dead, or the name of a batch of LSD that was going around at the time (and that actually was named after the band)). Clear Light's first gig with their new name. 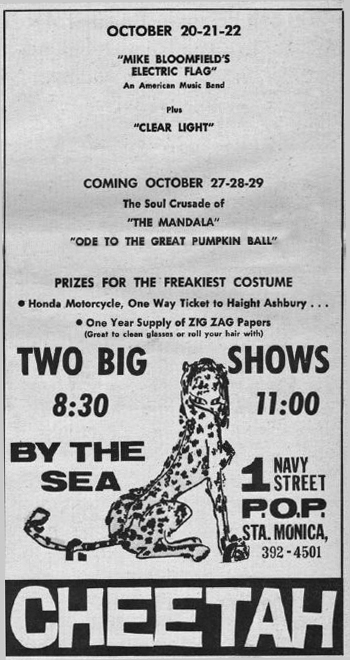 Also on the bill: Other Half, The Daily Flash, Peanut Butter Conspiracy, The Rainy Daze, The Factory, West Coast Pop Art Experimental Band, Flamin’ Groovies, Steve Miller Blues Band, Sopwith Camel (canceled), Iron Butterfly, The Turtles, The Nazz, Grateful Dead, The Seventh Son, Firesign Theatre, New Generation, West Coast Branch, Kim Fowley, Smokestack Lightning, The Yellow Brick Road, The Yerba Buena Blues Band. One free show, from 6:00am to 9:00pm, with approximately 30,000 people in attendance. The recording sessions for the band’s debut album begins. Two of the first tracks completed are a reworking of 'Black Roses' and a Robbie Robison composition titled, 'She’s Ready To Be Free'. 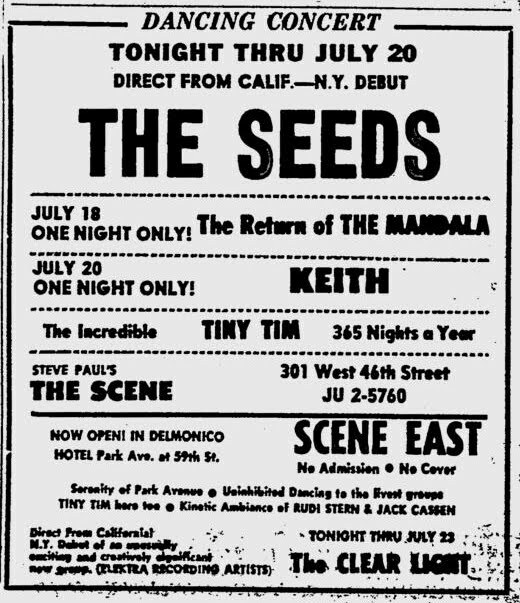 Also on the bill: UFO, W.C. Fields, Canned Heat, Yellow Brick Road, The Blues Express, The Knack, Peanut Butter Conspiracy, The Daily Flash, The New Generation, East Side Kids, The Ladybirds, The Factory, The Doors (canceled), Jay Walker and The Pedestrians, Barry McGuire, Taj Mahal, Hamilton Street Car, Robert Baker, Hearts & Flowers, The Rain, Rick Martino, Biff Rose, The Poor, Lovin' One, Grateful Dead (in attendance but unable to play for lack of time), Kaleidoscope (in attendance but unable to play for lack of time, International Brick (in attendance but unable to play for lack of time), Satisfied Sponge (in attendance but unable to play for lack of time). 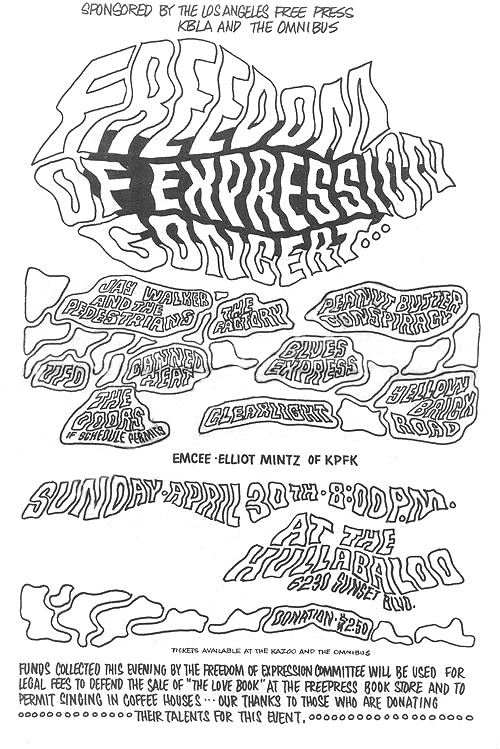 Elliot Mintz of KPFK was the master of cerimonies for the early part of the evening until he had to leave to do his radio show, and Art Kunkin, editor of the Los Angeles Free Press, and Rusty Ward, manager of the Omnibus Coffee House, introduced the bands after Elliot left. Sponsored by The F.O.E. 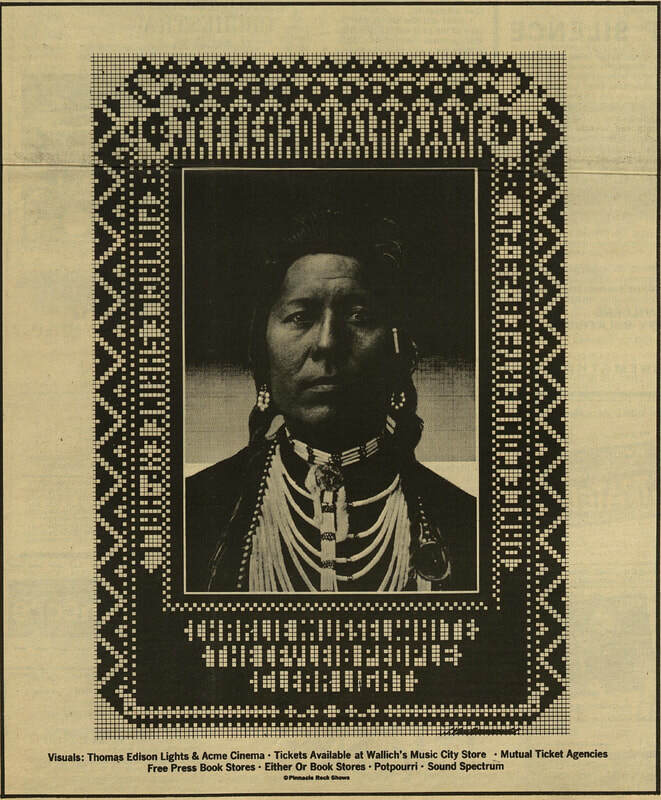 Committee, The Los Angeles Free Press, and The Omnibus Coffee House, these evening shows - one from 7:00pm to 10:00pm, and one from 10:30pm to 2:00am - were held by The F.O.E. (Freedom of Expression) Committee to collected funds that will be used for legal fees to defend the sale of 'The Love Book' at the Freepress Book Store and to permit singing in coffee houses. 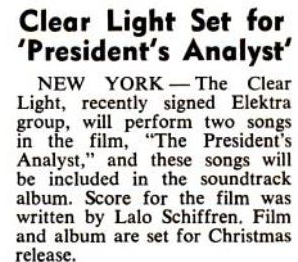 Clear Light lands a cameo role in the movie, The President’s Analyst, starring James Coburn. 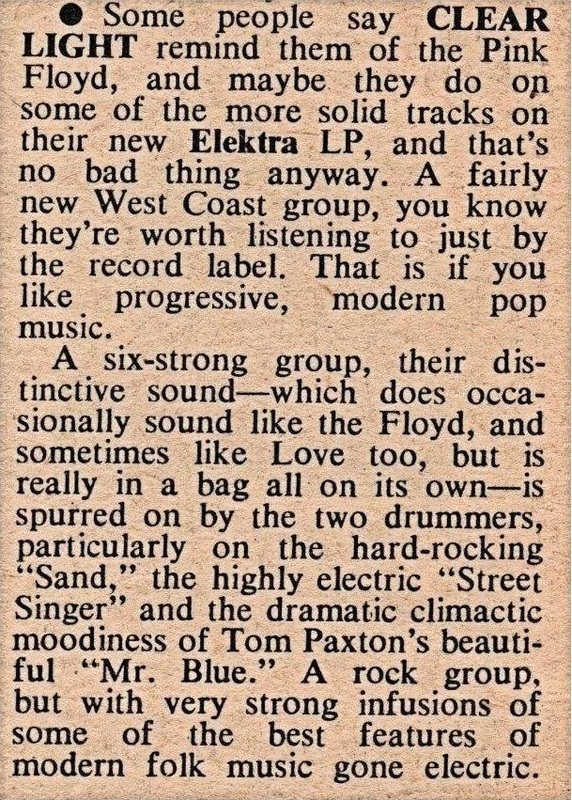 The band was approached by a talent scout for Paramount Pictures sometime earlier, and after looked at pretty much every band in Hollywood (over 400 groups), he had narrowed it down to two: Clear Light, and The Grateful Dead, although the latter actually came from San Francisco. For some strange reason he finally chose Clear Light and brought movie director Ted Flicker a tape of the band. Intrigued, Flicker summoned the band to the sound stage, was impressed, and signed them for the movie exactly (apparently also because he was a friend of Paul A. Rotchild). 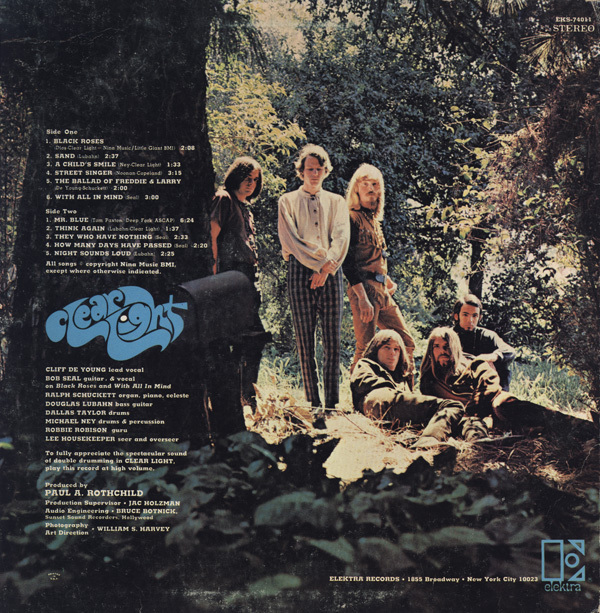 The band appeared in a couple of scenes, the first had the band playng a semi instrumental version of 'She's Ready To Be Free' in a sylvan glade (if you listen closely you can just make out Robbie Robison's mixed down vocal), and the second scene featured them playing again 'She's Ready To Be Free' in a nightclub, with folksinger Barry McGuire of 'Eve of Destruction' fame doing lead vocals, and James Coburn banging a gong. Both version of the songs were later included in the movie soundtrack album that was released in December 1967 along with the movie. Clear Light, along with The Byrds, Kaleidoscope, and Fraternity of Man, perform in aid of The Southern California Oracle, an underground newspaper inspired by its sister publication The San Francisco Oracle, and the Traditional American Indians. One show, start at 7:30pm. 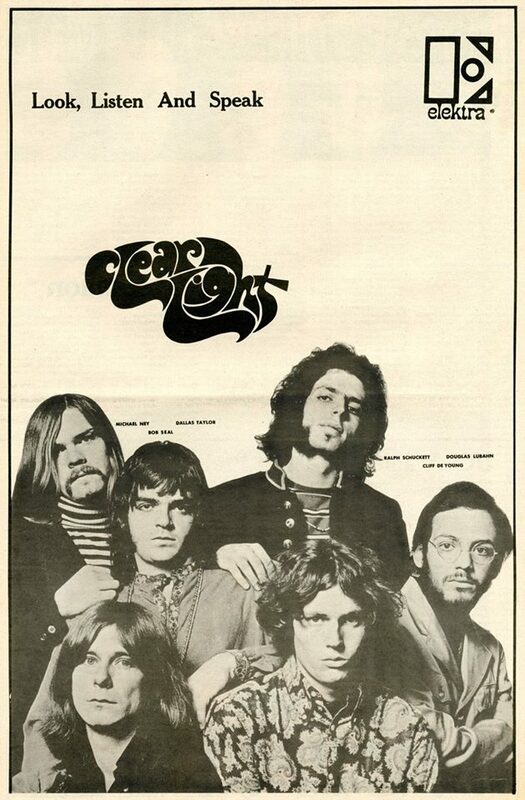 Clear Light adds lead singer Clifford Tobin' 'Cliff' De Young (b. Monday, February 12, 1945, Los Angeles, California). Paul A. Rothchild though they needed a "real" singer, so they were auditioning singers at their house, and finally they chose Cliff because he was a friend of Michael Ney (they played together in a bar band called the GFG years earlier). 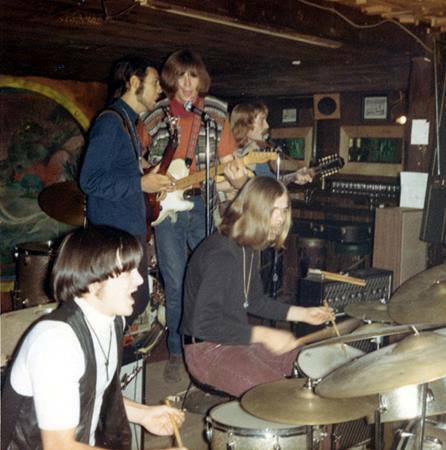 Cliff was a Cal State student at the time, so he dropped out from school to joins the band. A Sunday Special 8.30 p.m. show promoted by Humble Harve. 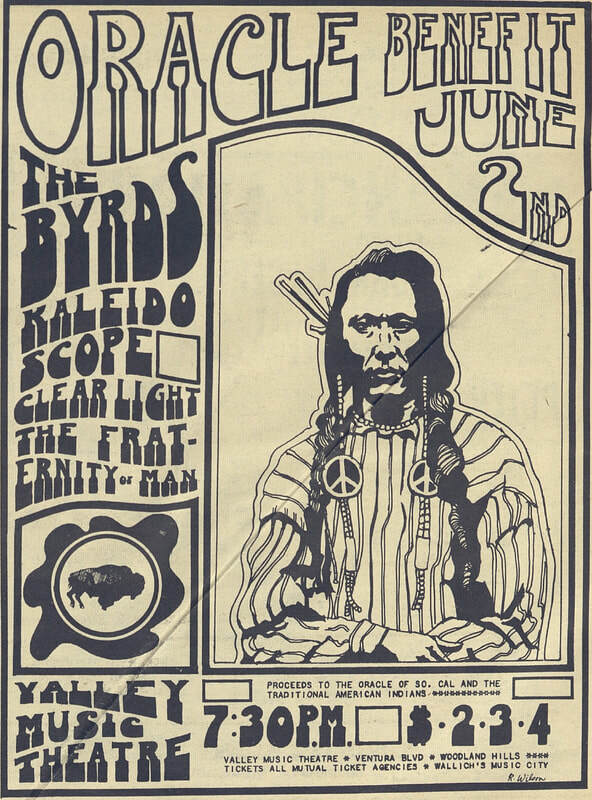 Also on the bill: Kaleidoscope. 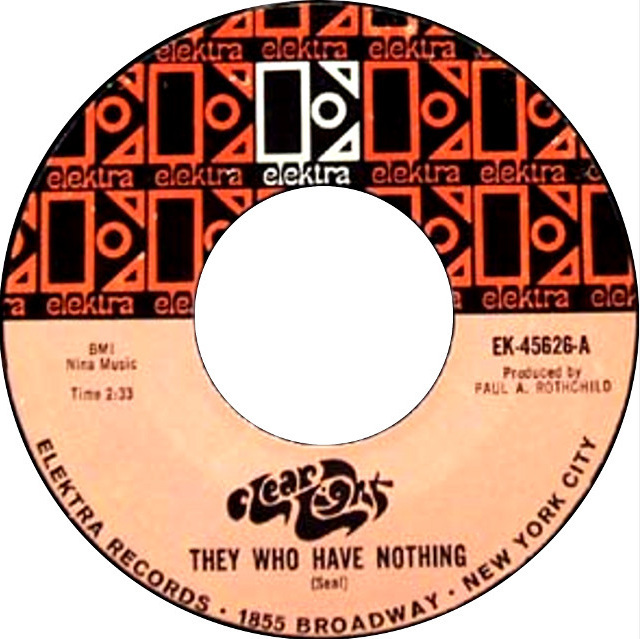 Despite having put down most of the tracks for the album, Elektra decides that Robison’s acoustic approach is incompatible with the group’s new electric direction and he is dropped from the group, although he remains part of the entourage, operating his own light show, set up at the group’s live appearances. 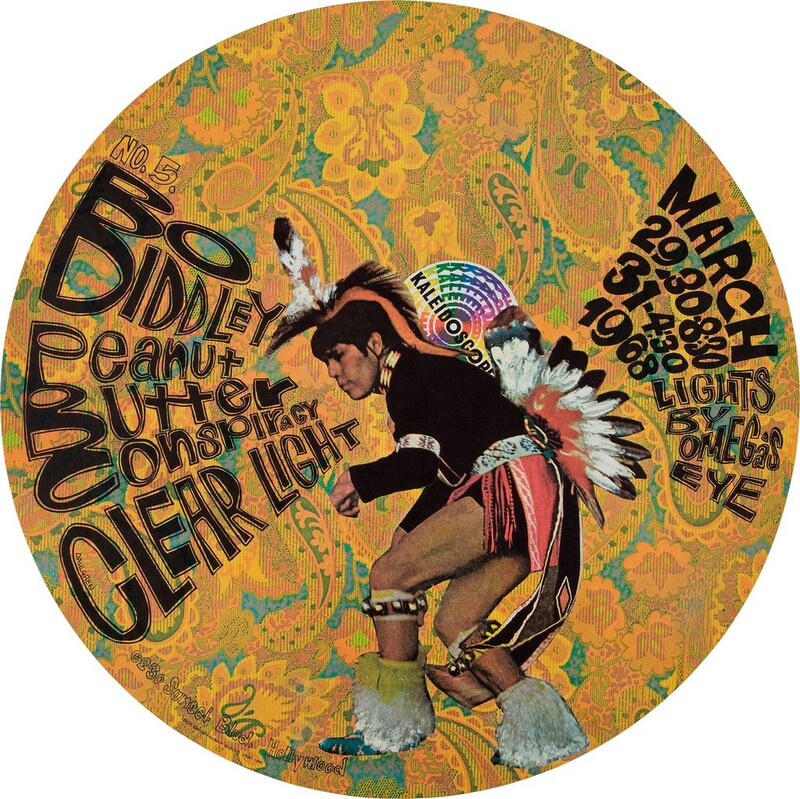 After auditioning many guitarists as possible replacements, including Doug Hastings of Buffalo Springfield (and formerly of The Daily Flash), they eventually decide to go with keyboard wunderkind Ralph Schuckett (b. Tuesday, March 2, 1948, Los Angeles, California), formerly of The Jolairs and a couple of other bands. 'Ralphie', as the band called him, overdubs keys to several of the tracks already in the can as well as collaborating with fellow newbie Cliff De Young. 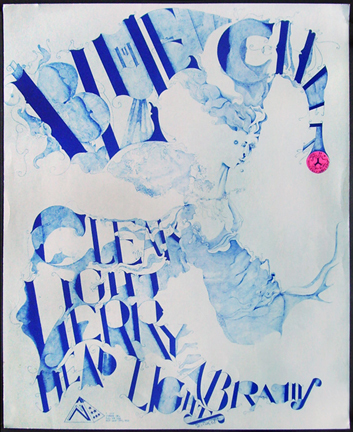 Clear Light embark on a cross country tour driving non-stop to Philadelphia, Pennsylvania, where the band goes on strike, forcing Elektra to fly them to New York. The group is met by Danny Fields, who checks the musicians into Albert’s Hotel. 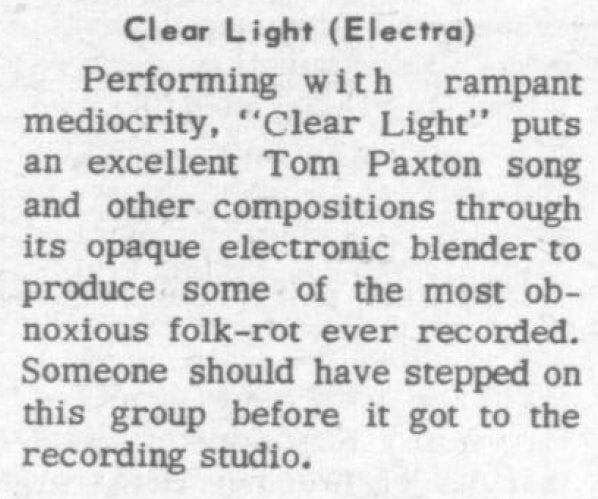 Clear Light were originally scheduled to play there until Sunday, July 23, but supposedly on the night of July 19, Ralph Schuckett lambasts the crowd for not paying attention to the group’s performance and it is fired. The next day, Steve Paul places the group at his main club, The Scene. 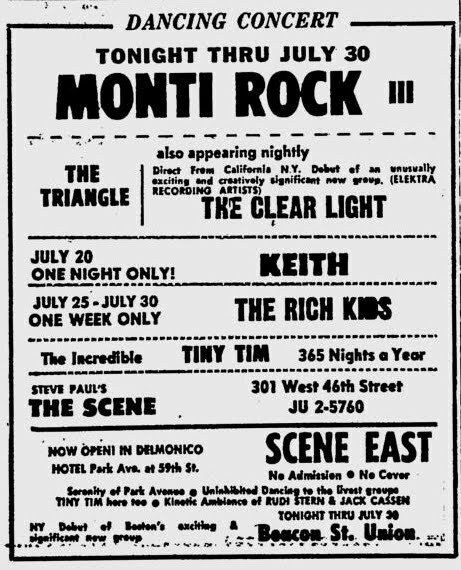 Clear Light were on the bill along with Monty Rock III (20-30), The Triangle (20-30), Tiny Tim (20-30), Keith (20), and The Rich Kids (25-30). Clear Light were on the bill along with Country Joe and The Fish, and NGC-4594. The 'Smoke-In' was organised by Abbie Hoffman. 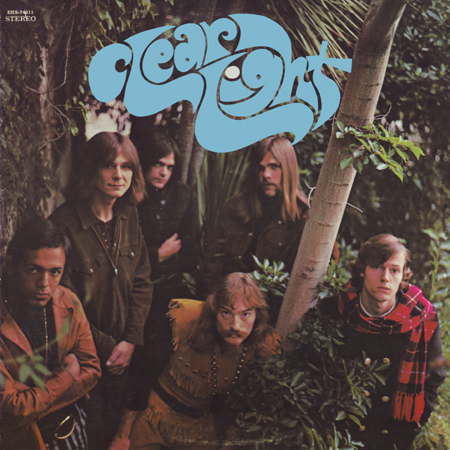 Clear Light recorded their eponymous debut album with Paul A. Rothchild as producer, Bruce Botnik as sound engineer, and Jac Holzman as recording and production supervisor. 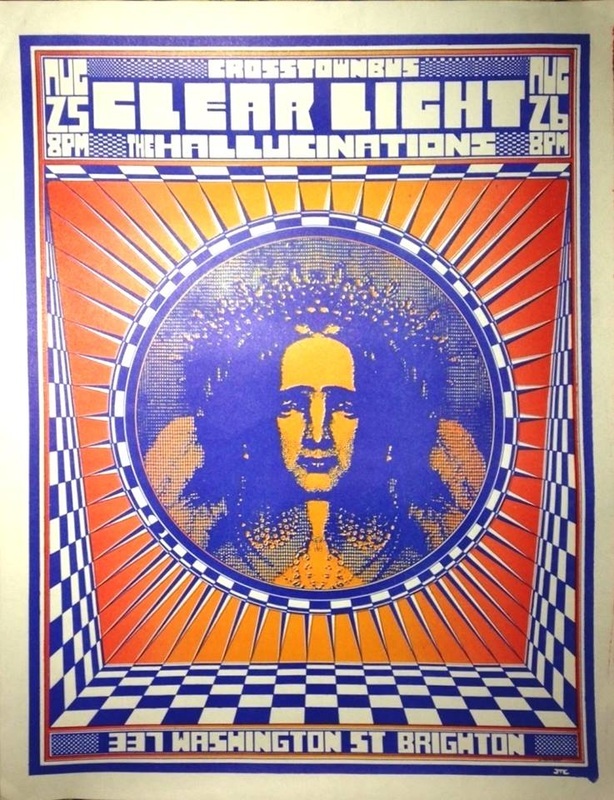 Clear Light were on the bill along with The Hallucinations. One show, start at 8:00pm. 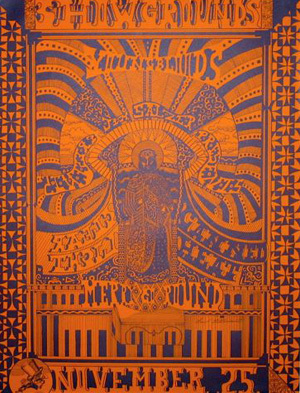 Clear Light were on the bill along with Kaleidoscope. One show a day, from 8:30pm to 2:00am. Originally the bands were scheduled to appeared only from August 31 to September 2. 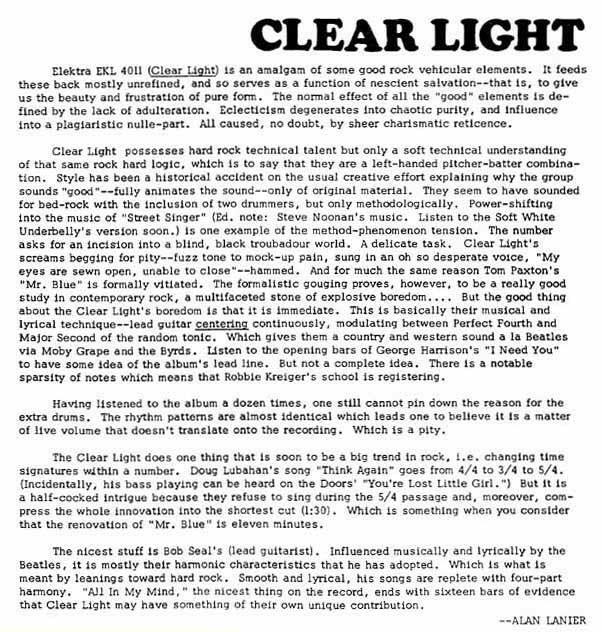 Clear Light's eponymous debut album was originally scheduled to be released this month, but finally it was postponed of another month. 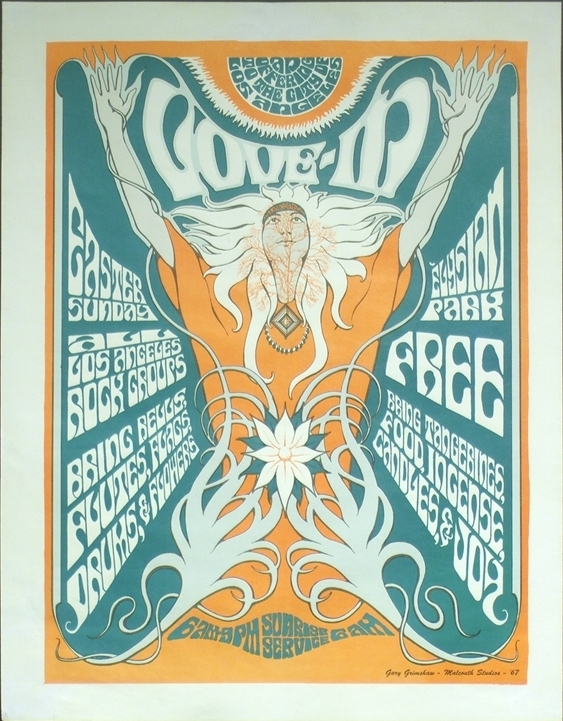 Clear Light were on the bill along with The Blue Cheer, The Van Morrison Group, and Quicksilver Messenger Service. One show, start at 8:00pm. 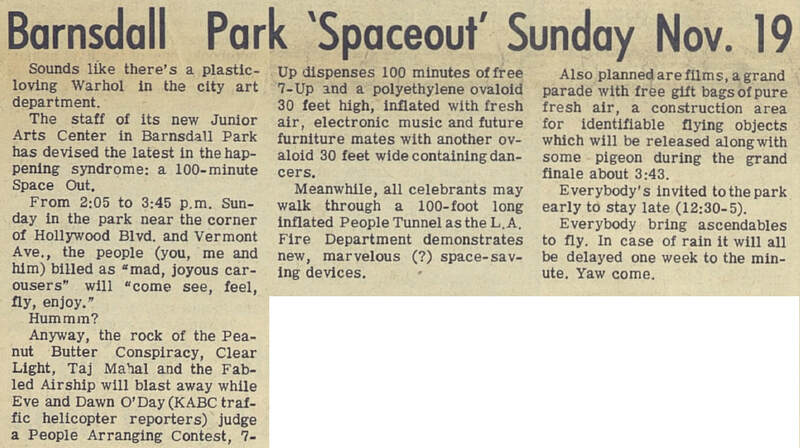 According to Jim Salzer - the promoter of the show but also a local record store owner and musician - 1247 people were in attendance. 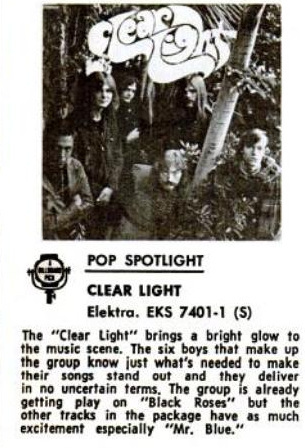 The group’s eponymous debut (and only) album, 'Clear Light' (Elektra EKL-4011 (Mono), EKS-74011 (Stereo)), was released in the US, and climbing as high as #126 on the Billboard chart. 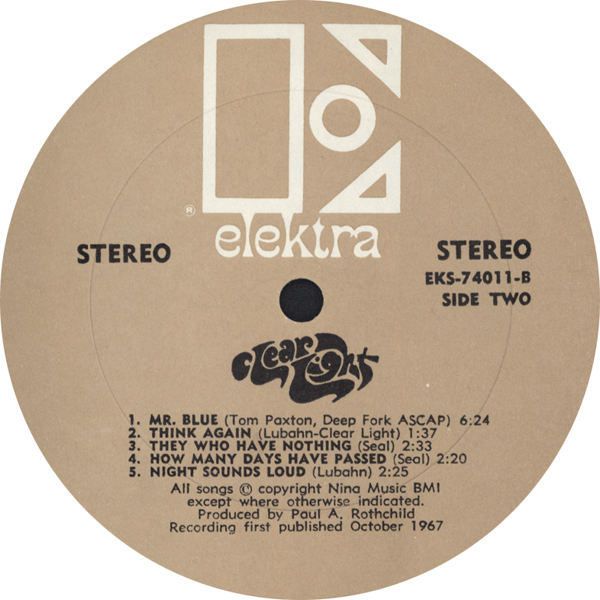 The album was also released in the UK that same month, and although it was not a hit, it was greeted with interest, particularly on the underground scene (Clear Light's records were regularly featured on John Peel's Top Gear radio show on BBC-1). 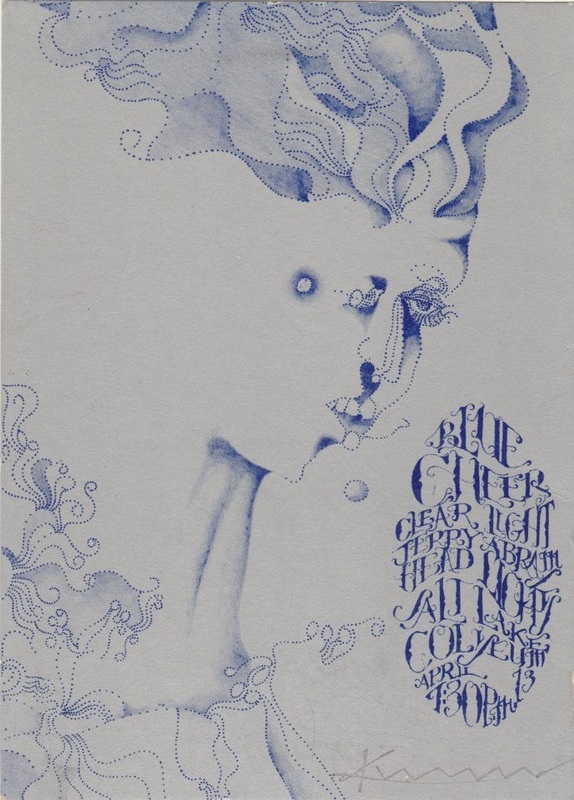 The album was also released in France in 1967 for Disques Vogue (CLVLXEK. 212), and in Germany in 1968 for Elektra (EKS-74011). The album was later reissued on vinyl in 1986 (UK) and 2002 (US), and on CD in 2000 (Germany), in 2002 (US), and finally on Friday, February 26, 2016 in an expanded edition including four previously unheard recordings made by the original line up ('Dawn Lights The Way', 'Eastern Valleys', 'Bye Bye Boogieman', and 'The Susan Years'), as well as both sides of the ultra rare Brain Train 45 and two different mixes of 'She's Ready To Be Free'. 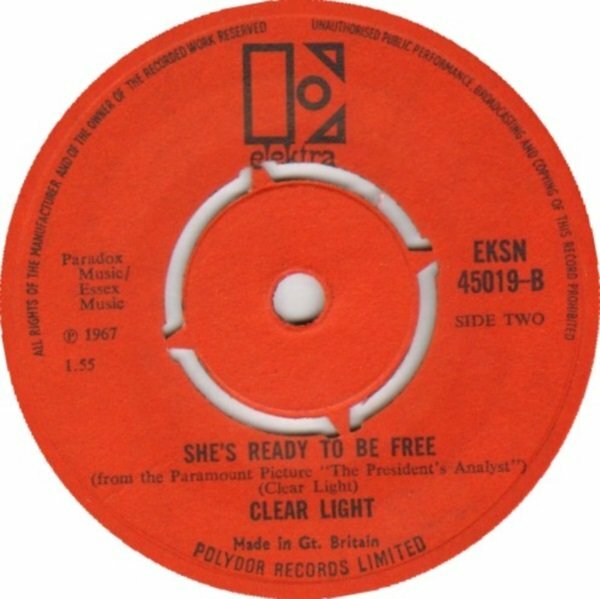 Clear Light's debut single, 'Black Roses [2° version] / She’s Ready To Be Free' (Elektra EK-45622), was released in the US. 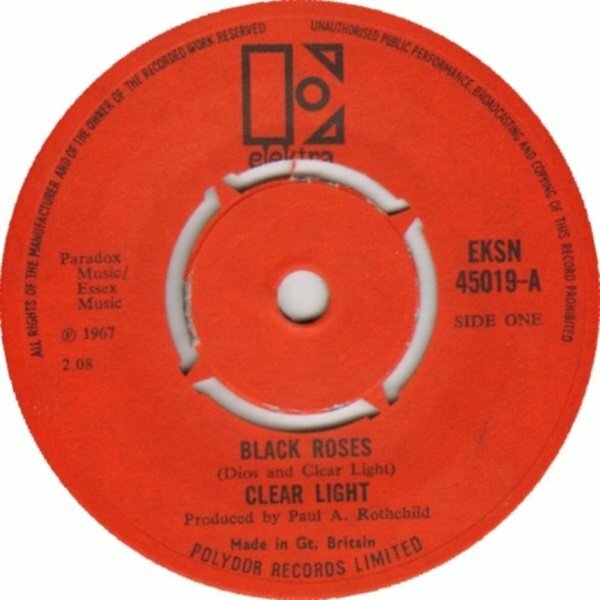 The single was also released in the UK in December 1967 for Elektra (EKSN 45019), in Australia in 1967 for Astor Records (AP-1429), and in New Zealand in 1967 (or 1968) for Elektra (EK45622). 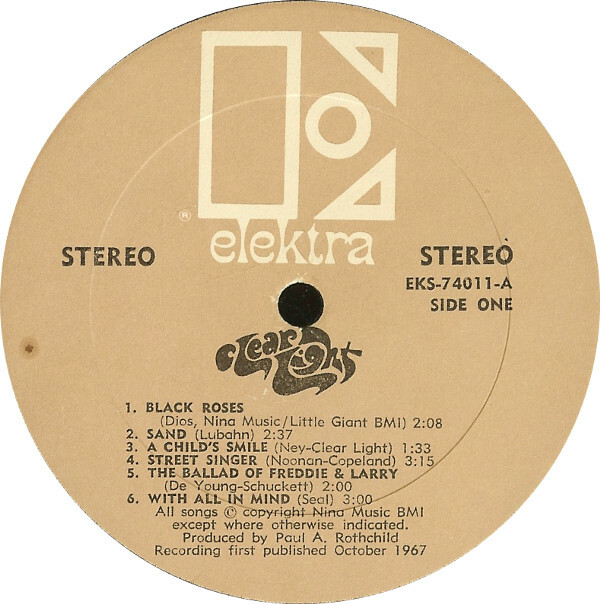 In order to cash in on the release of their debut Elektra album and single, Clear Light's former manager Bud Mathis licences The Brain Train demos to Titan Records, and the label released them as single, 'Black Roses [1° version] / Me' (FF-1738), that same month only in the US. 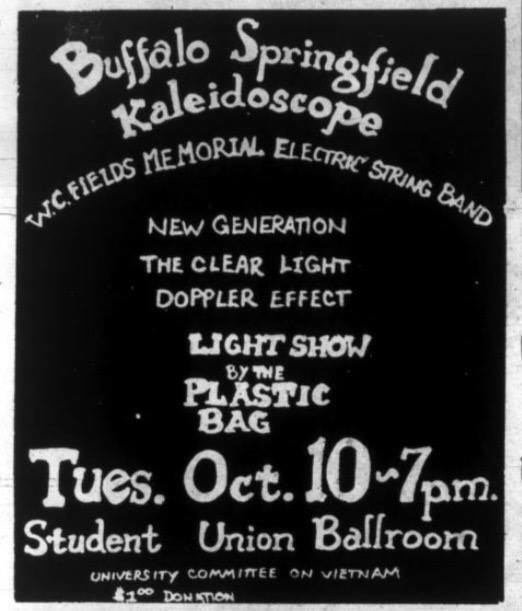 Also on the bill: Kaleidoscope, W.C. Fields Memorial Electric String Band, Buffalo Springfield (canceled), The New Generation, Doppler Effect. Psychedelic Lights by The Plastic Bag. 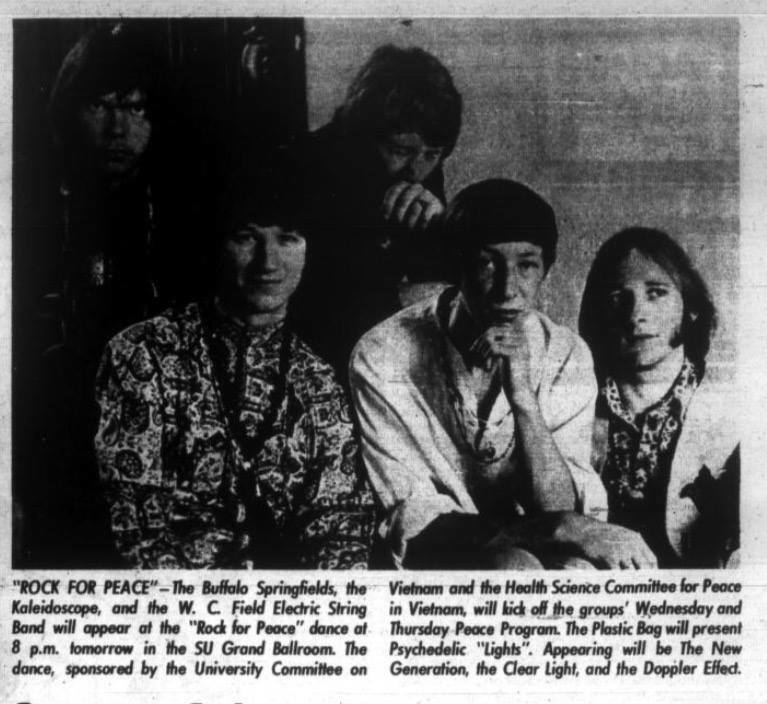 The show, which starts at 7pm, was sponsored by the University Committee on Vietnam and the Health Science Committee for Peace In Vietnam. By the way, Clear Light, Kaleidoscope, and The New Generation filled in for the originally handbilled Deana Martin And The Chromium Plated Streamline Baby, and The Rich Kids. 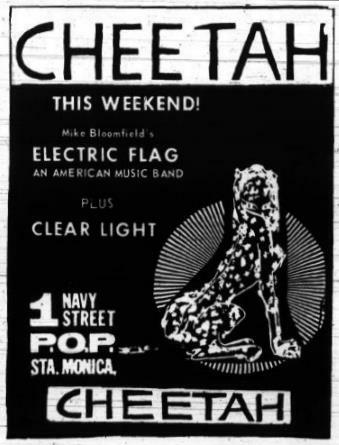 Clear Light were on the bill along with Electric Flag. Two shows a day, 8:30pm and 11:00pm. 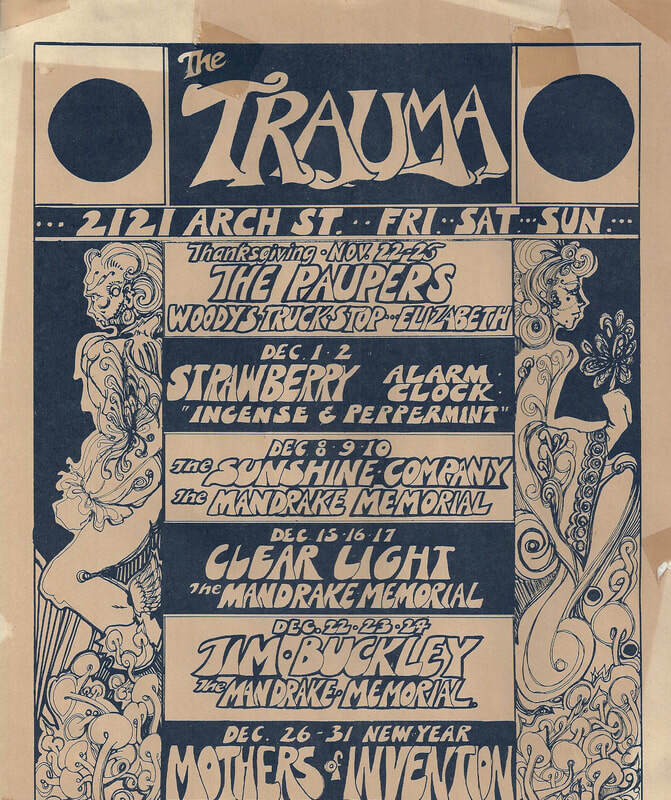 Clear Light were on the bill along with Lee Michaels, and Pink Floyd (the latter had been scheduled but were still in England awaiting visas). 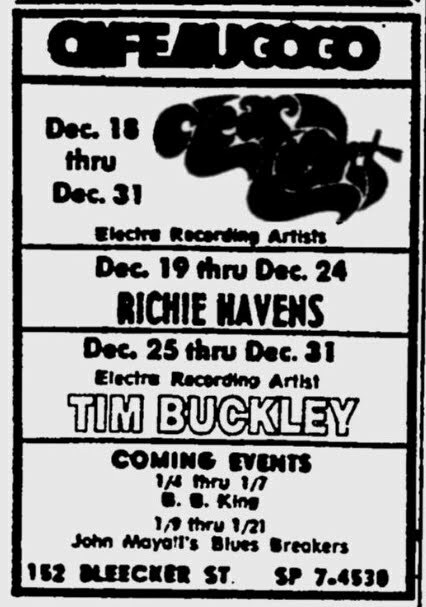 The shows were promoted by the great late Bill Graham. 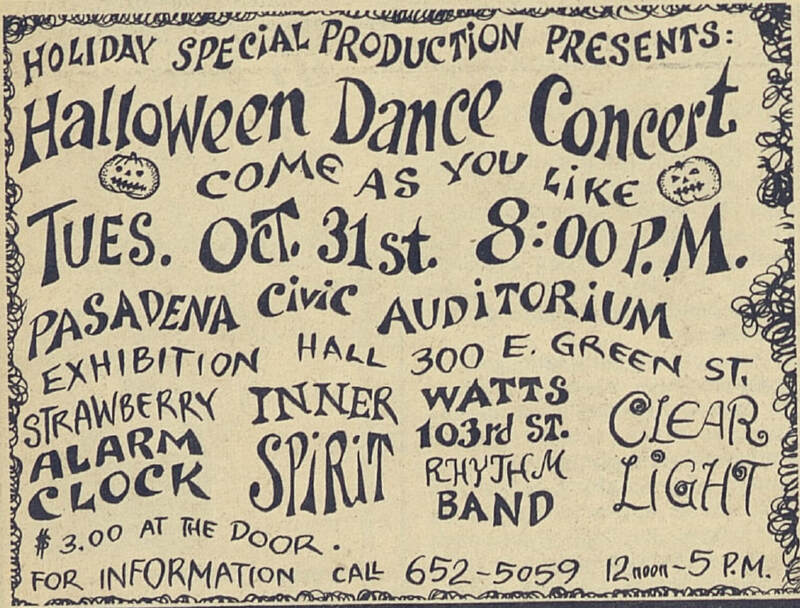 Also on the bill: Inner Spirit, Strawberry Alarm Clock, Watts 103rd St. Rhythm Band. The show, which started at 8:00pm, was promoted by Holiday Special Production Presents. 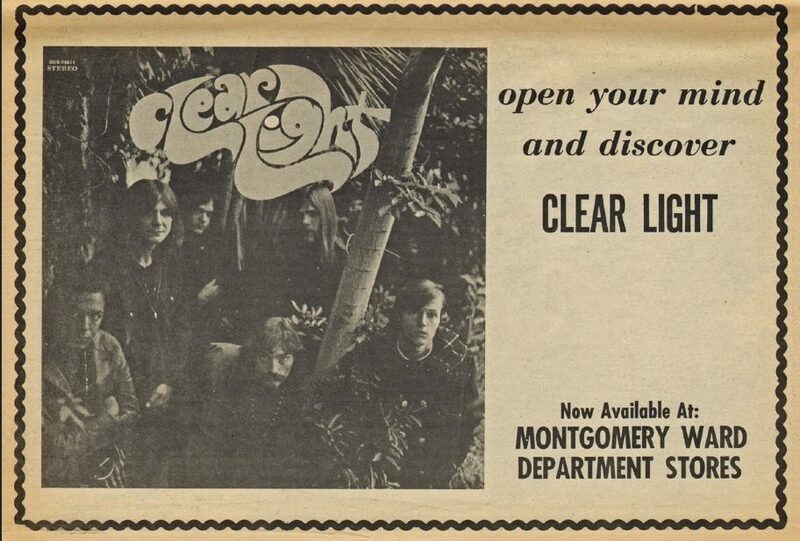 Clear Light were on the bill along with The Nazz. Light Show By The Trepannelia! 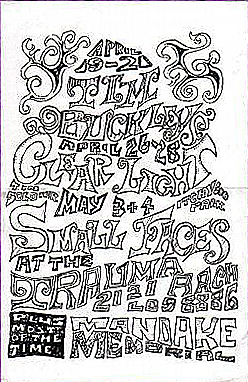 Clear Light were one of the four acts - together with Taj Mahal, Peanut Butter Conspiracy, and Fabled Airship - announced to perform when the event was advertised in the November 17's edition of the Los Angeles Free Press, but later, when it was reviewed in the December 1's edition of the LAFP, their name was the only one not mentioned, so maybe they finally did not appeared. 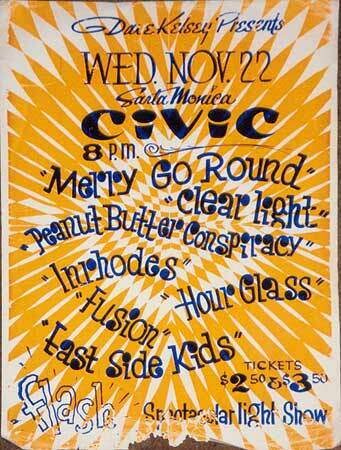 Also on the bill: Peanut Butter Conspiracy, Merry Go Round, Hour Glass, Inrhodes, East Side Kids, Fusion. The show, which started at 8:00pm, was promoted by Dane Kelsey Presents. 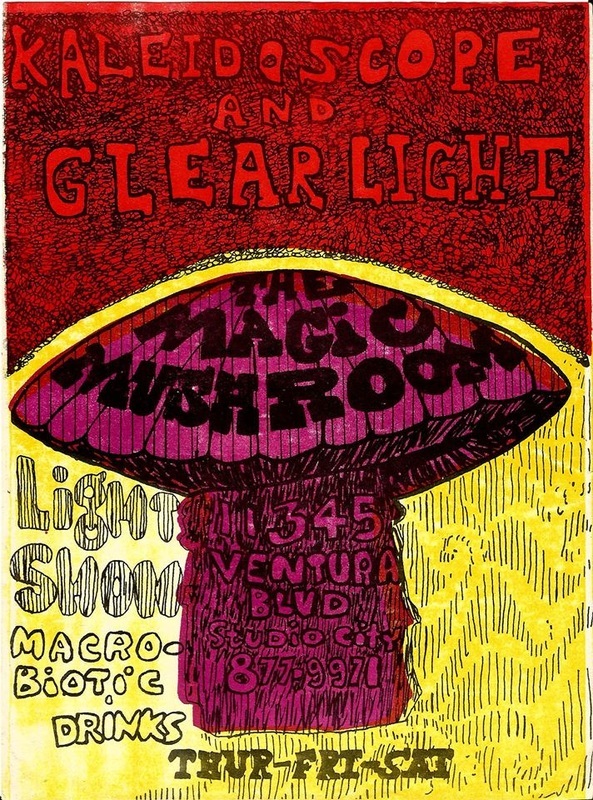 Clear Light were on the bill along with Youngbloods, Canned Heat, and Merry Go Round. 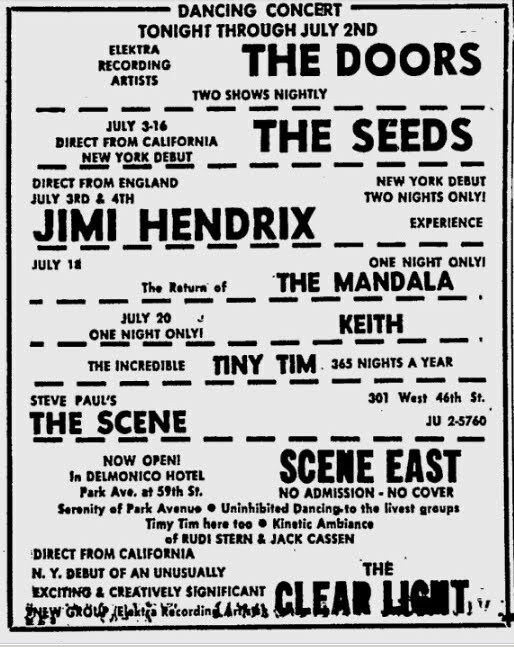 The show was promoted by Jim Salzer, a local record store owner and musician. 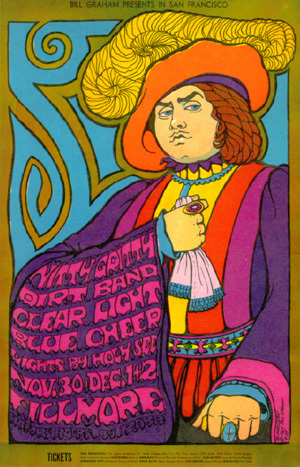 Clear Light were on the bill along with The Nitty Gritty Dirt Band, and Blue Cheer. Lights by Holy See. 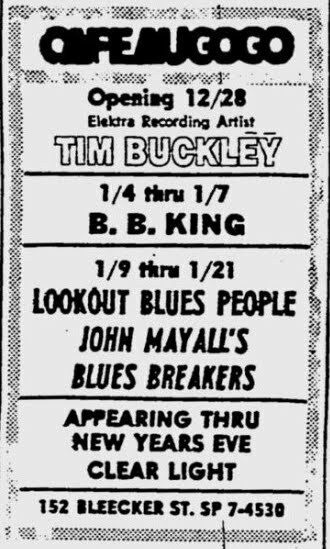 The shows were promoted by the great late Bill Graham. 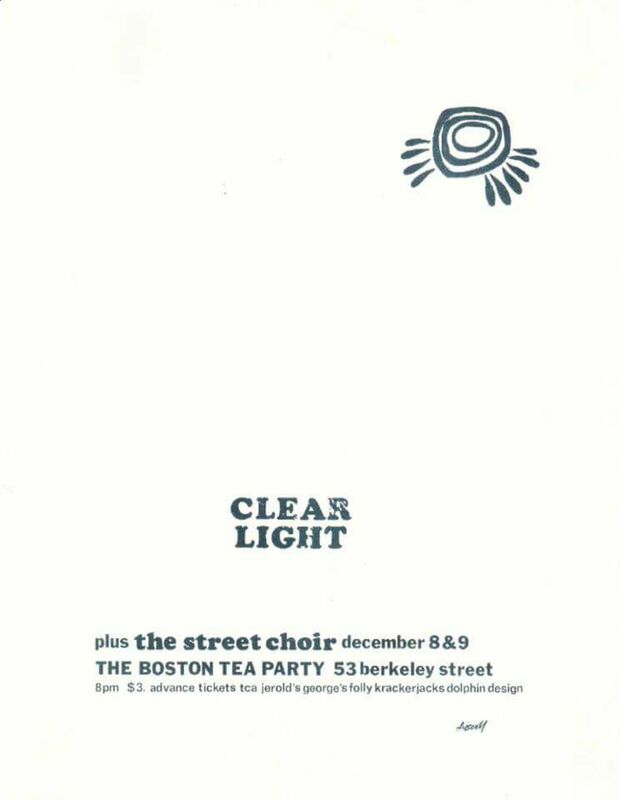 Clear Light were on the bill along with The Street Choir. 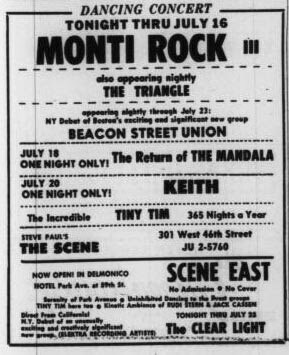 Also on the bill: Mandrake Memorial. 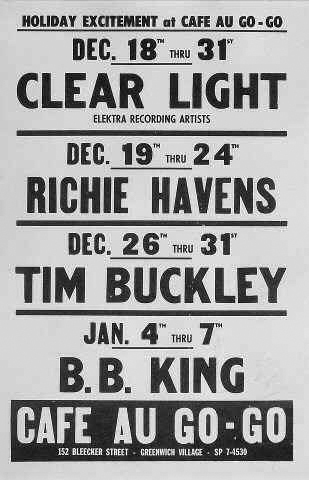 Clear Light were on the bill along with Richie Havens (19-24), and Tim Buckley (28-31). 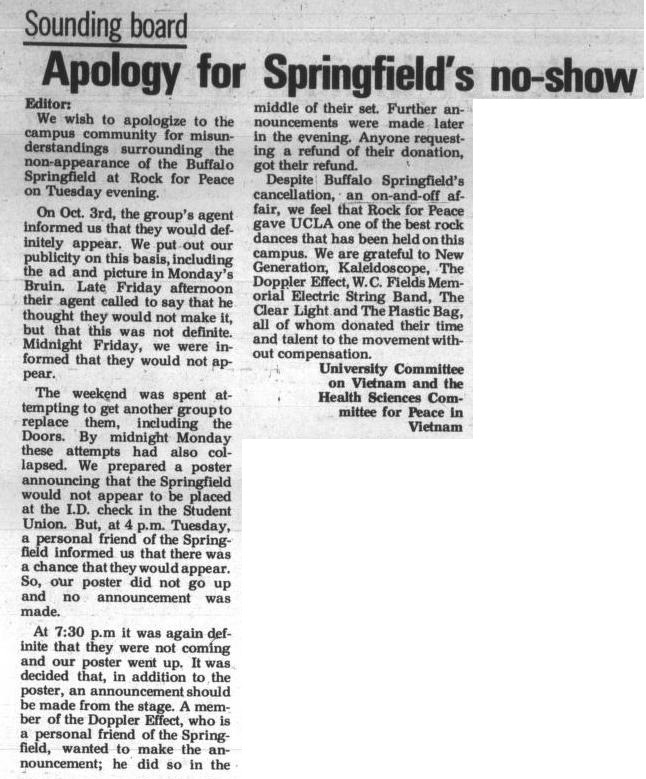 The band was originally scheduled to appeared from December 18 to 31. 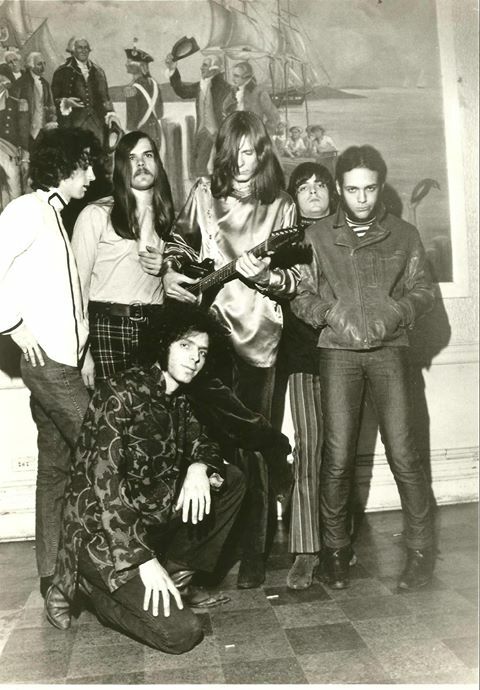 After much behind the scenes manipulation and Svengali–ism by Paul A. Rothchild, the band starts auditioning guitarists, including Ken Pine, who curiously had joined The Fugs just a month earlier, and Allan 'Jake' Jacobs formerly of The Fugs, on the club’s stage to replace Bob Seal, who has come to blows with the producer. Danny 'Kootch' Kortchmar (b. Daniel Kortchmar, Saturday, April 6, 1946, New York City, NY), who has previously played with New York groups, The King Bees, and The Flying Machine (with the not yet famous James Taylor), and now with The Fugs, quit that latter band and takes over lead guitar in Clear Light from January 1, 1968. Oh, by the way, contrary to some reports, 'Kootch' never tried out or played any notes with The Supergroup (later Rhinoceros). 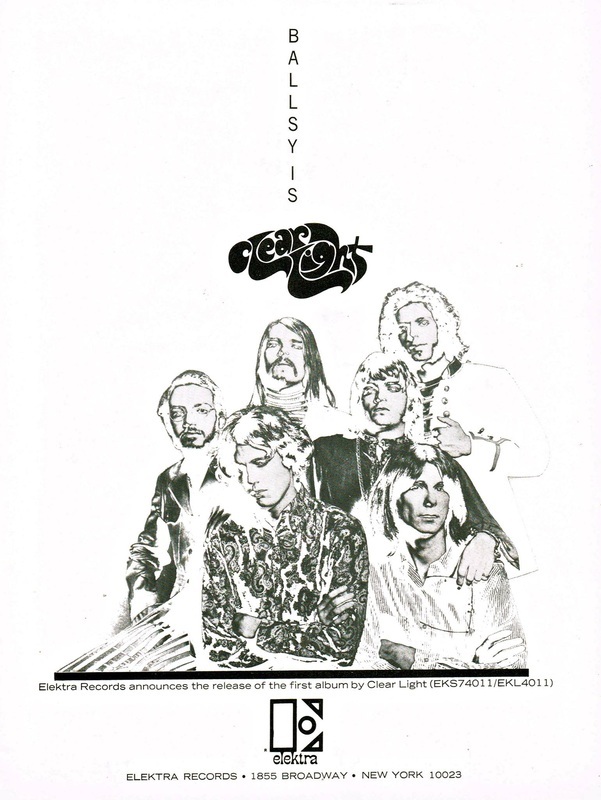 When Paul A. Rotchild put together the band in his Laurel Canyon's house, Los Angeles, to rehearsal in September 1967, 'Kootch' was actually there, yes, but just to watch, because he wasn't never really interested in this project at all. Bob Seal meanwhile relocates to the Bay area and, disillusioned with playing six string takes up the bass – gigging but not recording with Gale Garnett and The Gentle Reign. He later takes up the six string again, replacing the original guitarist in the Transatlantic Railroad. He subsequently teams up with former Salvation member Joe Tate in Redlegs, a popular Bay Area group, and finally during the 90's he played bass with a bluegrass band called The HomeBillies, with whom he released an eponymous album in 1997. Clear Light were on the bill along with Gypsy Blue (5), and Children (6). Lights by Trans Love (5-6). The shows were promoted by 'Uncle Russ' Gibb. 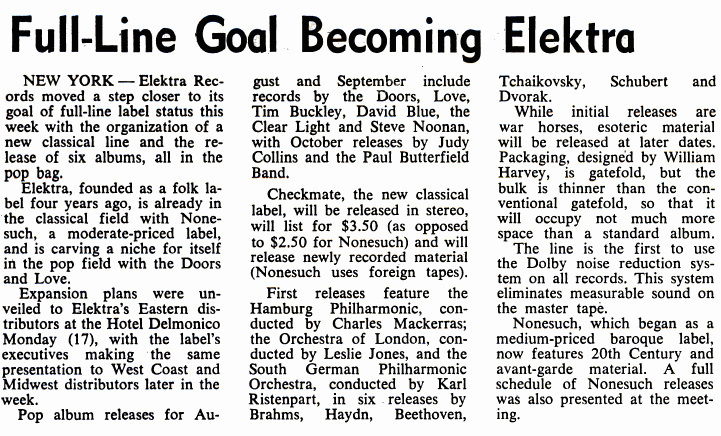 Elektra Records exercise the option of the original one year agreement between them and Clear Light, extending the term of that agreement for an additional one year period. Clear Light's second single, 'They Who Have Nothing / The Ballad of Freddie and Larry' (Elektra EK-45626), was released only in the US. 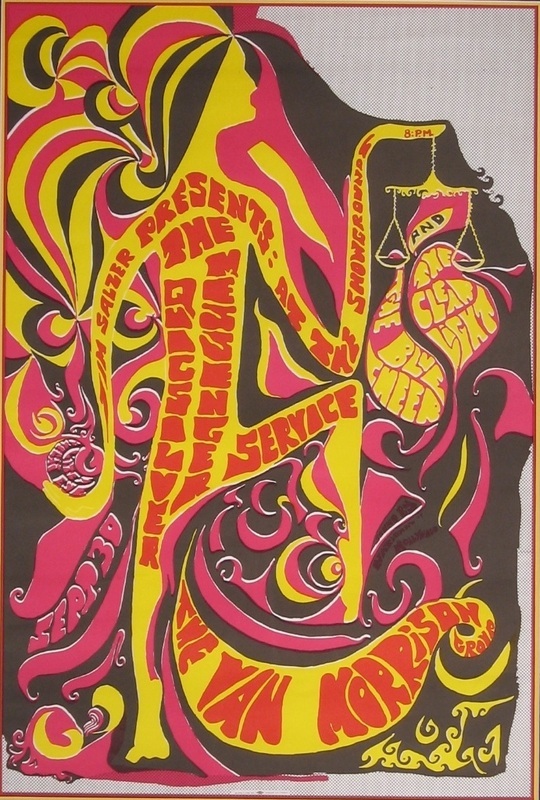 Also on the bill: Peanut Butter Conspiracy, Steppenwolf. 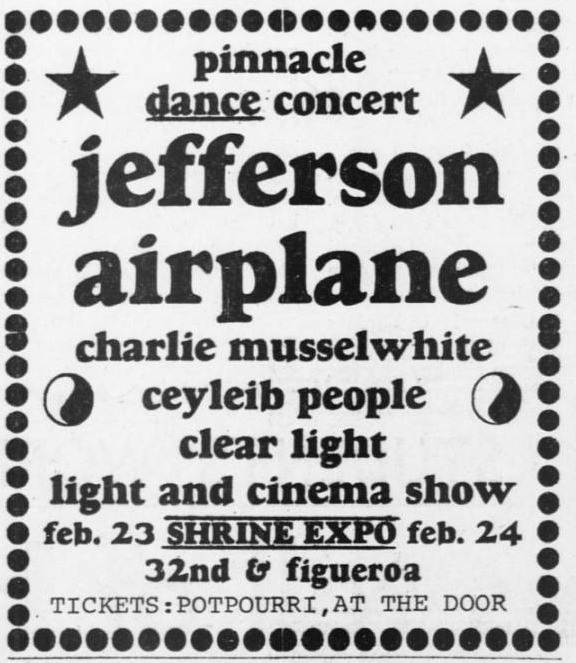 Also on the bill: Jefferson Airplane, Charlie Musselwhite, The Ceyleib People. Visuals by Thomas Edison Lights & Acme Cinema. These shows were promoted by Pinnacle. 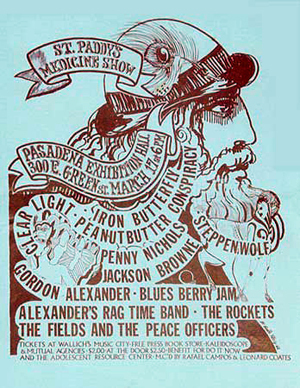 Clear Light were on the bill along with Peanut Butter Conspiracy, Iron Butterfly, Steppenwolf, Jackson Browne, Penny Nichols, Gordon Alexander, Bluesberry Jam, Alexander's Rag Time Band, The Rockets, The Fields, and The Peace Officers. 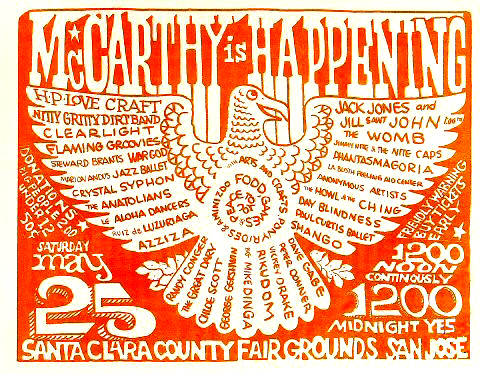 Clear Light were on the bill along with Sweetwater, Buffalo Springfield, Steppenwolf, Jefferson Airplane, Tiny Tim, H.P. 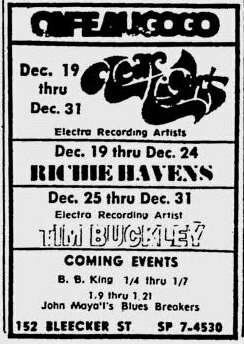 Lovecraft, Quicksilver Messenger Service, Firesign Theatre, Peanut Butter Conspiracy, and Genesis. This was an afternoon show. The Kaleidoscope used the rotating stage to great effect, apparently managing set changes in 16 seconds. 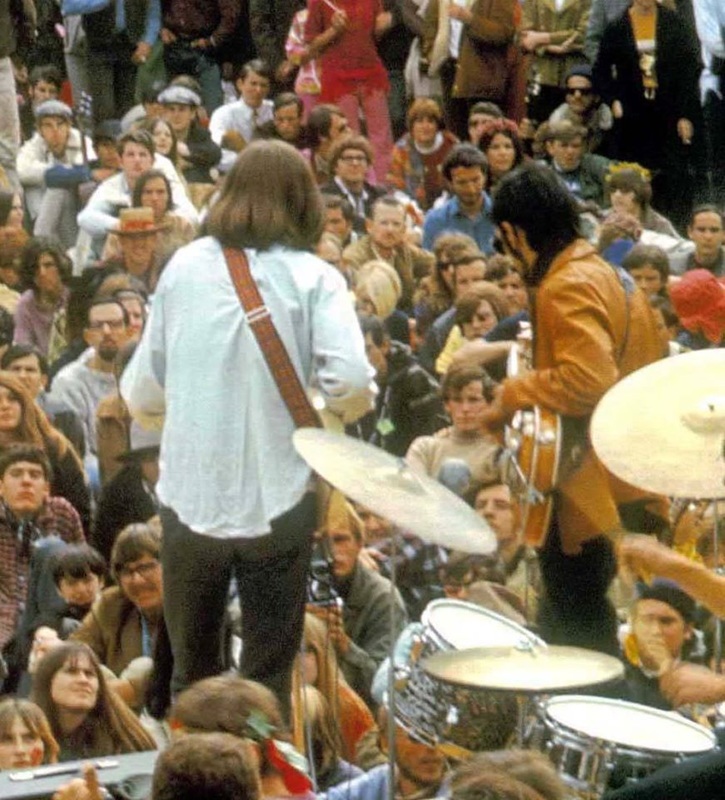 Disc jockeys on KMPX-fm radio in San Francisco, the first underground rock station in America, had gone on strike. The staff on their sister station KPPC (Pasadena) had joined them. There were a couple of events in San Francisco as well. 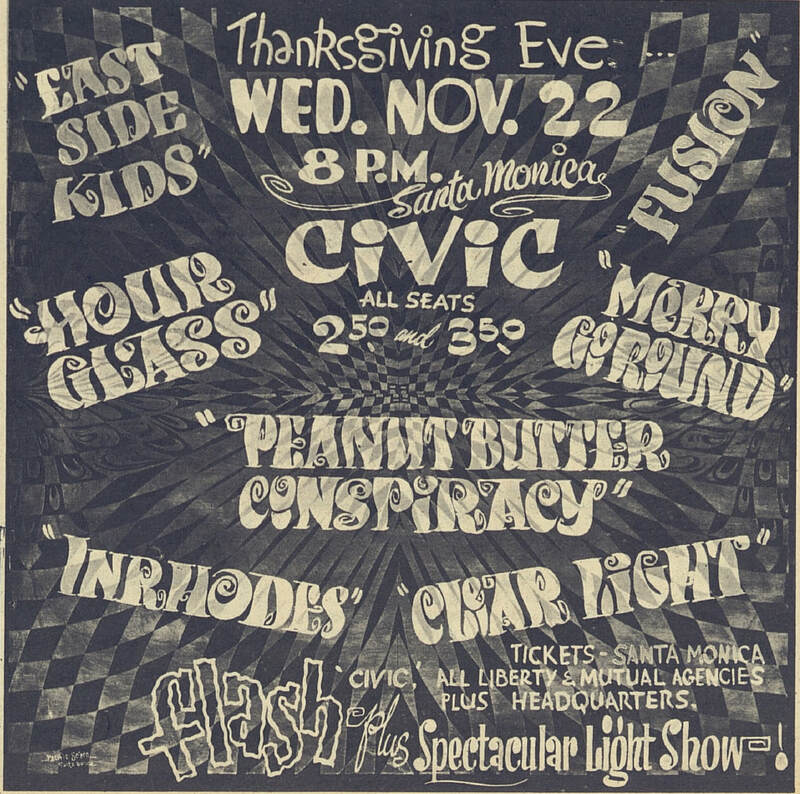 Clear Light were on the bill along with The Doors (29; not on the poster, a last minute addition), Peanut Butter Conspiracy (29-31), and Bo Diddley (29-31). Lights by Omega's Eye (29-31). 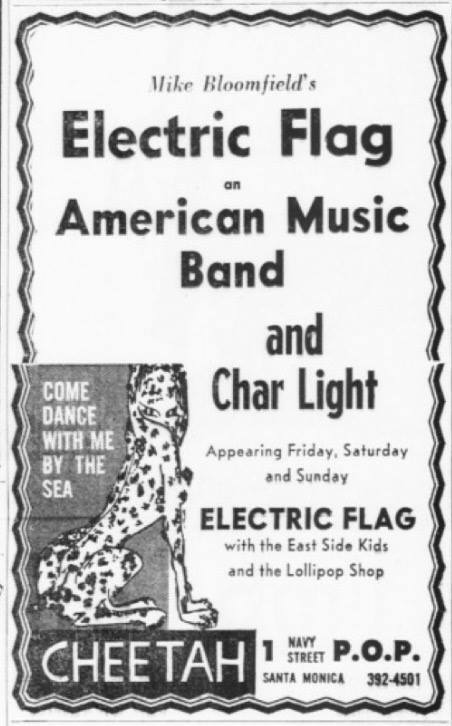 These shows - which started at 8:30pm on March 29 and 30, and at 4:30pm on March 31 - were promoted by John Hartman, Skip Taylor, and Gary Essert. 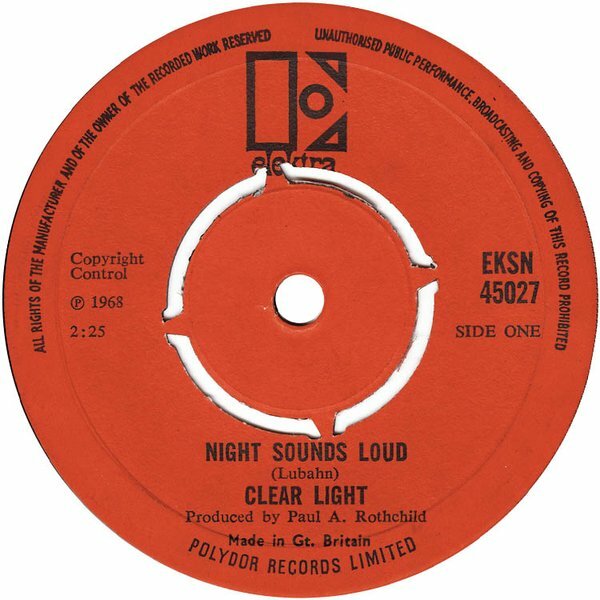 Clear Lights's third and last single, 'Night Sounds Loud / How Many Days Have Passed', was released only in the UK. 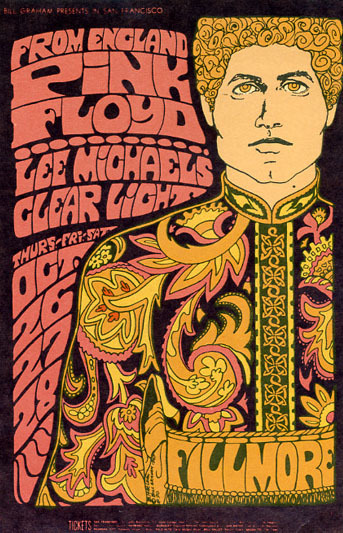 Clear Light were on the bill along with Blue Cheer. Lights by Jerry Abrams Headlights. One show, start at 7:30pm. Clear Light were on the bill along with Harvey and The 7 Sounds. 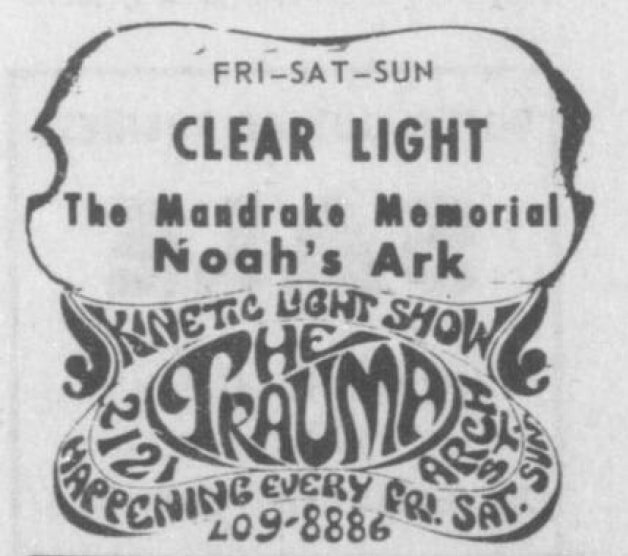 Also on the bill: Mandrake Memorial, Noah's Ark. Lights by Kinetic Light Show. 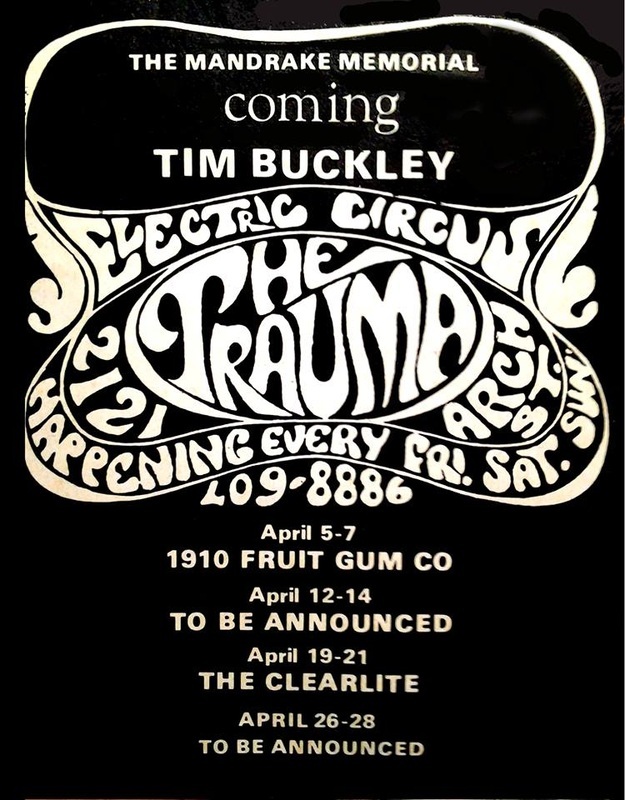 The band was initially advertised (misspelled as 'The Clearlite') to play here from April 19 to 21. Clear Light were on the bill along with Tim Rose. 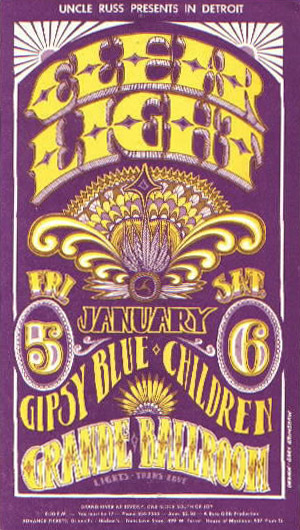 Clear Light were on the bill along with Blues Image, and Bangles. 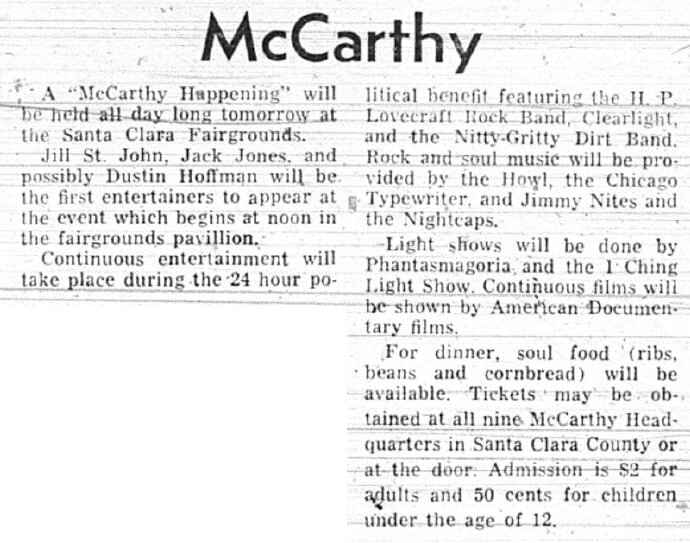 Also on the bill: Nitty Gritty Dirt Band, H.P. Lovecraft, Flamin' Groovies, Stewart Brant's "War: God", Marion Andus Jazz Ballet, Crystal Syphon, The Anatolians, Le Aloha Dancers, Ruiz de Luzuriaga, Azziza, Randy Conger, The Great Darv, Chloe Scott, George Gershwin, Big Michael Dinga, Jack Jones and Jill Saint John, Dustin Hoffman, Chicago Typewriter, The Womb, Jimmy Nite & The Nite Caps, La Bloth Feeling Aid Center, Anonymous Artists of America, The Howl, Day Blindness, Paul Curtis Ballet, Shango, Dave Gabe, Peter Donner, Vickey Drake, Rikudom. Lights by Phantasmagoria and The I Ching Light Show. One show, from 12 noon to 12 midnight. Also on the bill: Buddy Guy, Frumious Bandersnatch. Lights by Little Jo's Electroluminescence. These shows, which lasted from 9:00pm to 2:00am each day, were promoted by The Family Dog (run by the great late Chet Helms). 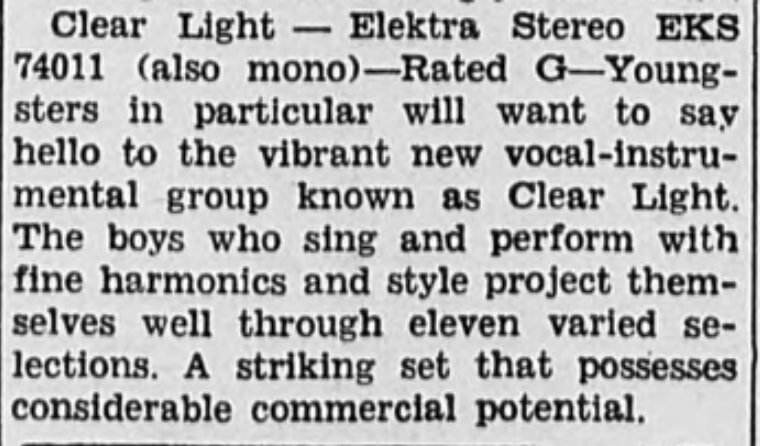 Sessions for Clear Light's second album for Elektra begin, but after a few recordings Cliff De Young quits to return to college. He later pursues a solo career and also an acting career for cinema, theatre, and television. It is not known exactly how many tracks the band put down. For nearly 40 years these recordings seemed to have been completely lost until, in 2007, Ralph Schuckett found a cassette that had two tracks taken from acetates. Unfortunately the tape had become degraded after spending nearly 4 decades in varying temperatures in the attic of Ralph's home but the recordings reveal how the band were progressing and give an indication of how the second album would have turned out. 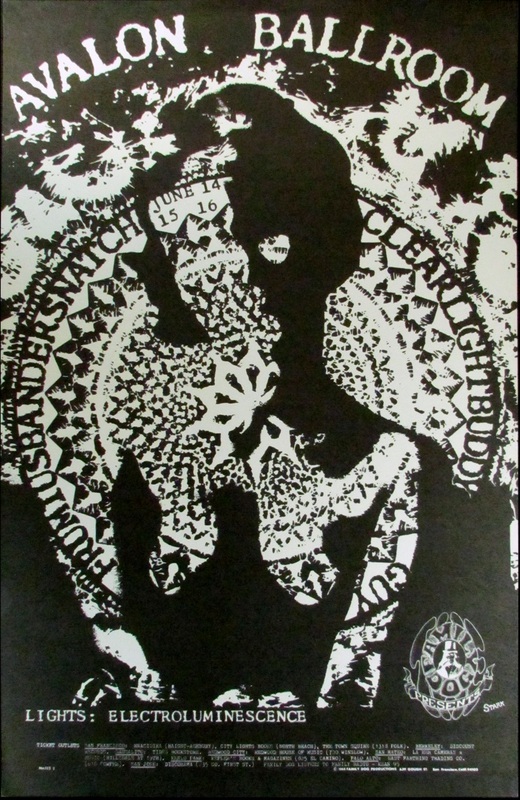 'Darkness of Day', a Schuckett/De Young collaboration, was a continuation of the themes of the first album, almost being a counterpoint to 'Night Sounds Loud'. On the other hand, Danny Kortchmar's 'What A Difference Love Makes' shows the influence that Danny was bringing to their sound. One can only wonder at how the finished product would have sounded. Clear Light unofficially splinters. 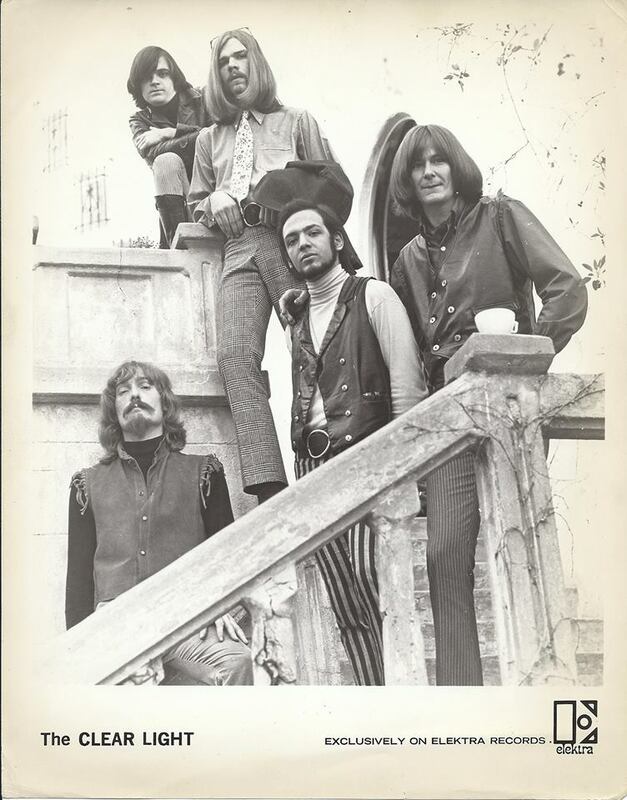 According to Doug Lubahn the band ended when Danny Kortchmar announced that he had received a large inheritance and was leaving the band and moving up into Laurel Canyon with his girlfriend and brand new Porsche! Anyway, after the group split up Doug Lubahn continues to play as The Doors' studio bassist for another year, before forming a jazz-rock band called Dreams with ex-Blood, Sweat & Tears member Randy Brecker (Doug will also played with Pierce Arrow, Riff Raff, and the Billy Squier Band, and he also wrote songs for Pat Benatar, and Patti Smith), while Ralph Schuckett and Michael Ney (in the guise of 'Michael Stevens') join The Peanut Butter Conspiracy for a summer and winter tour of the Pacific Northwest. Schuckett later played with Jo Mama (with his old bandmate Danny Kortchmar), and Todd Rundgren's Utopia, and also does session work for people like James Cotton, and Carole King ('Tapestry'). Dallas Taylor, who initially works with ex-Lovin’ Spoonful singer/guitarist John Sebastian, is subsequently introduced to Stephen Stills. Around this time, Taylor, Lubahn and Schuckett do a recording session with Stills at TTG studio in Hollywood. 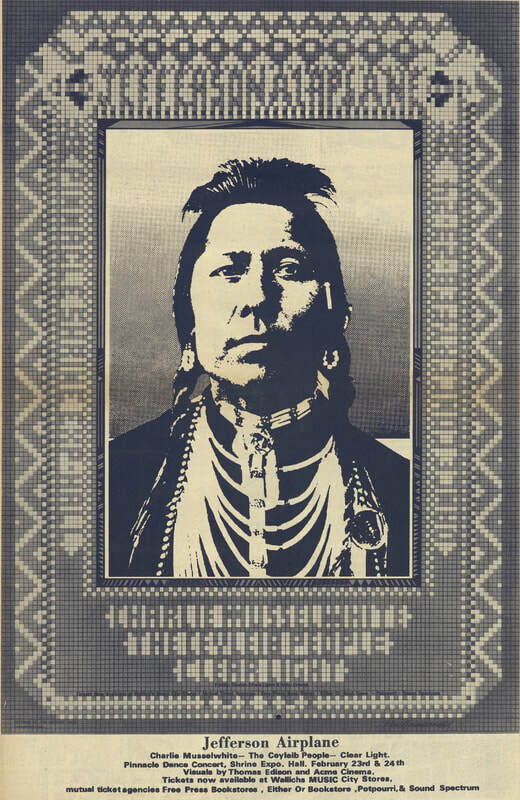 Taylor strikes up a rapport with Stills and is chosen as drummer for Crosby, Stills and Nash (and then for Crosby, Stills, Nash and Young, and for Stephen Stills' Manassas). Danny Kortchmar and Michael Ney join Carole King's City, although the latter will soon be replaced by Jim Gordon. 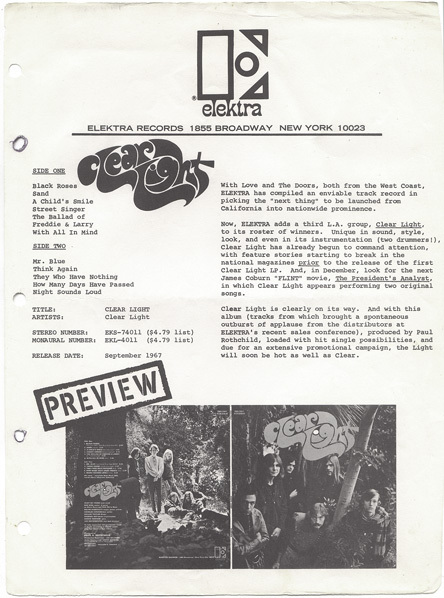 Clear Light's one year extension of their original one year agreement with Elektra Records expired today. Elektra's news letter, Revelation, announces that Clear Light have split up. ​If you enjoy what I have put together please consider donating any amount to support and help me to keep this valuable research going. Thanks! !